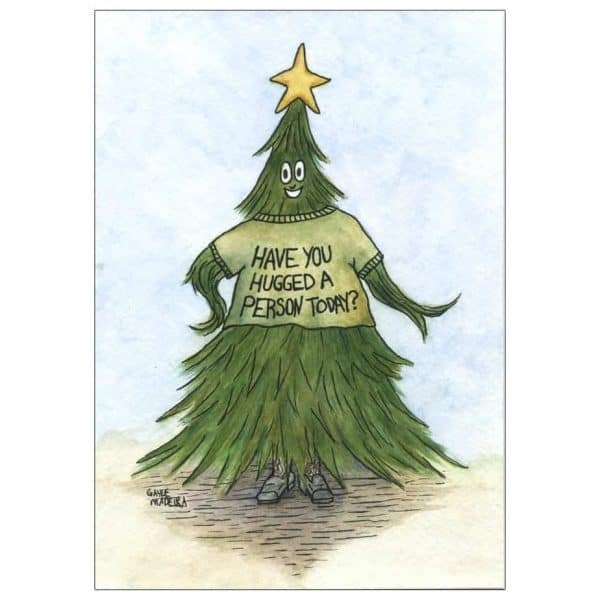 Have You Hugged A Person Today? Original watercolor and ink painting on watercolor paper made in 2010, 8.5″ x 6″. This painting is not framed. It is mounted on acid free foam core and is ready to frame. It comes inside a protective plastic sleeve.